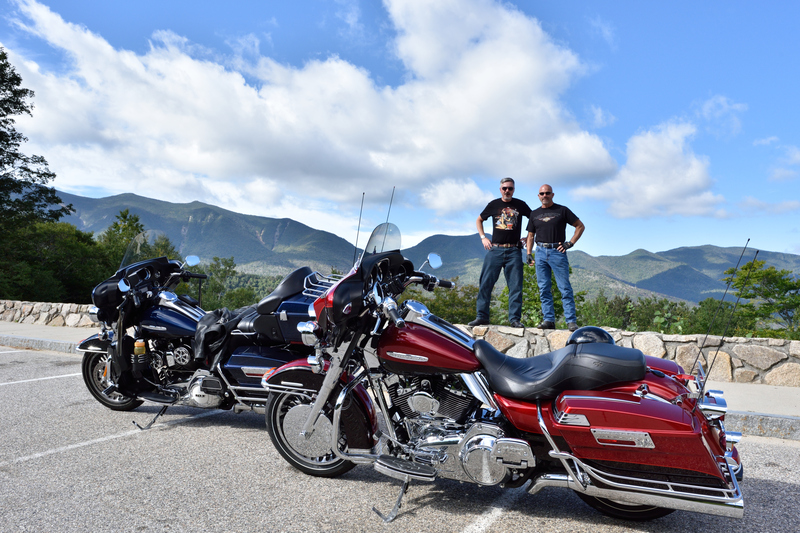 Kancamagus Highway, 2016. My bike is the blue Electra Glide. Looks kinda plain next to Frank's chrome! Blue Ridge Parkway, 2013. A cold but fantastic ride with my buddy Lee, who shot this pic. 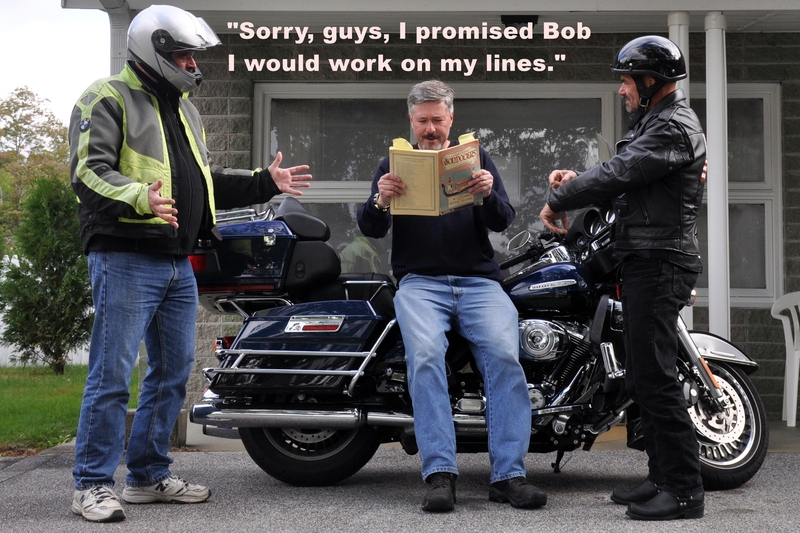 What happens when you sneak a motorcycle trip when you're supposed to be rehearsing Gilbert & Sullivan. My thanks to Lee and Frank for being good sports.